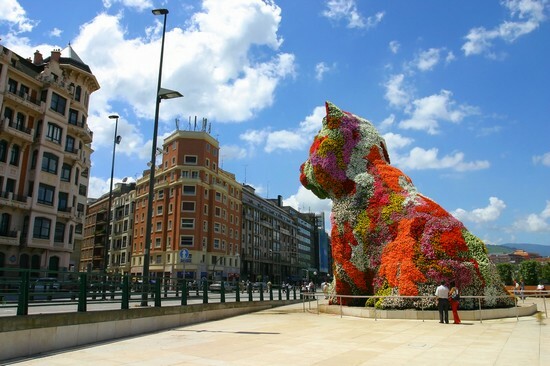 If there is anything Bilbao can boast of it is having been selected along with other major cities such as New York, Venice and Abu Dhabi as one of the headquarters of The Solomon R. Guggenheim Foundation, a leading arts institution founded in 1937 by an American collector of art with the aim of promoting culture and modern and contemporary art. 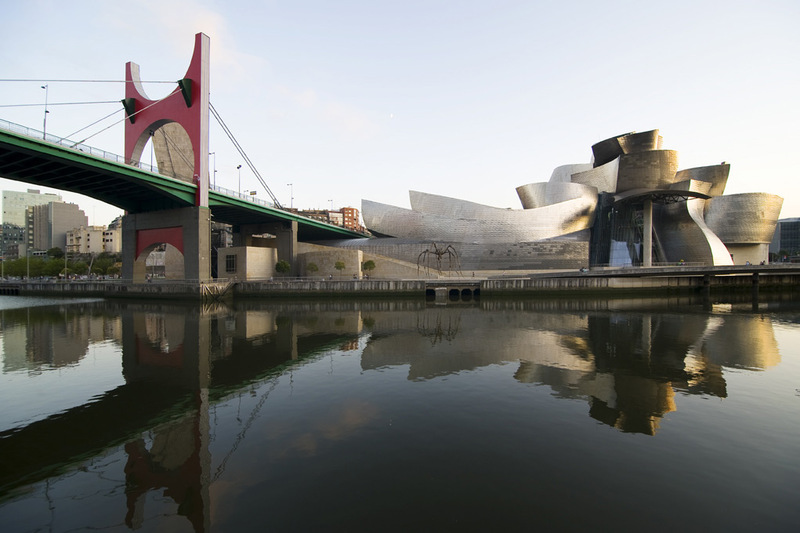 The opening of The Guggenheim Museum Bilbao marked a before and after in the cultural evolution of Basque Country, making it an international artistic reference. The museum was designed by Canadian architect Frank Gehry whose know-how resulted in one of the most impressive buildings of the second half of the twentieth century. Located on a plot of 32,500 m2, the building has a total area of 24,000 m2 —of which 10,500 are reserved for exhibitions— and a height of 50 meters. A spectacular outward appearance, which combine a set of orthogonal volumes and curved coated limestone and titanium its original interior layout, led by a central atrium departing from three levels of galleries bonded together adds via stairs, elevators and galleries that give it an appearance of cultural city. The first plans for the construction of the Guggenheim took place in 1991 when the government of the Basque Country decided to contact the Solomon R. Guggenheim Foundation in order to promote the development of a cultural project that would revitalize Bilbao. Six years later, in 1997, the Museum was opened to the public and it received an extraordinary welcome not only by art lovers but also by architectural critics and most of the population who saw in the Museum a symbol of renewal and modernization of one of the most important cities of the Basque Country. The influx of visitors to the Museum over the years has served to consolidate its beneficial impact across the country. Since 1997 the Guggenheim has received an average of more than one million visitors a year, which has resulted in greater boosting tourism in the area and the restoration of historic buildings which until then had been in the background. 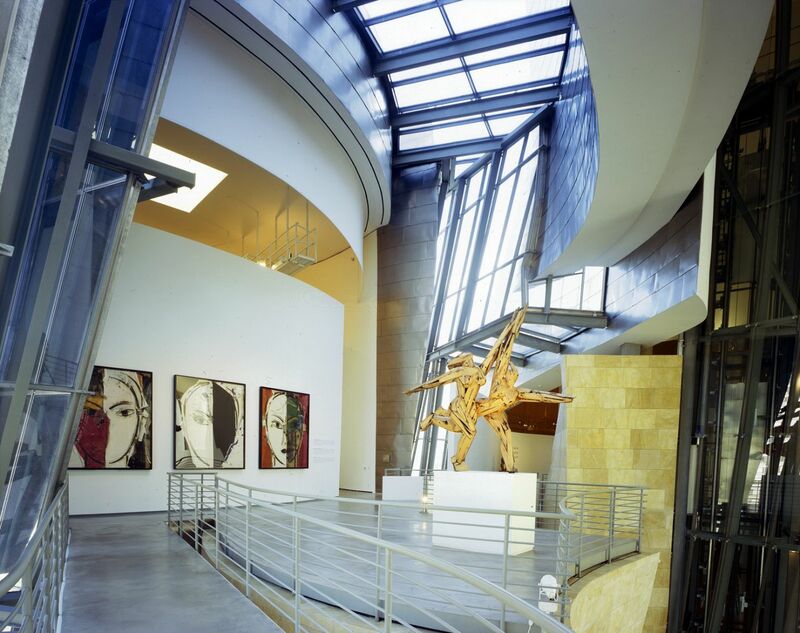 Among the artists whose works have been exhibited within the walls of the Museum are the Indian sculptor Anish Kapoor, the American painter Alex Katz and the Italian designer Giorgio Armani. 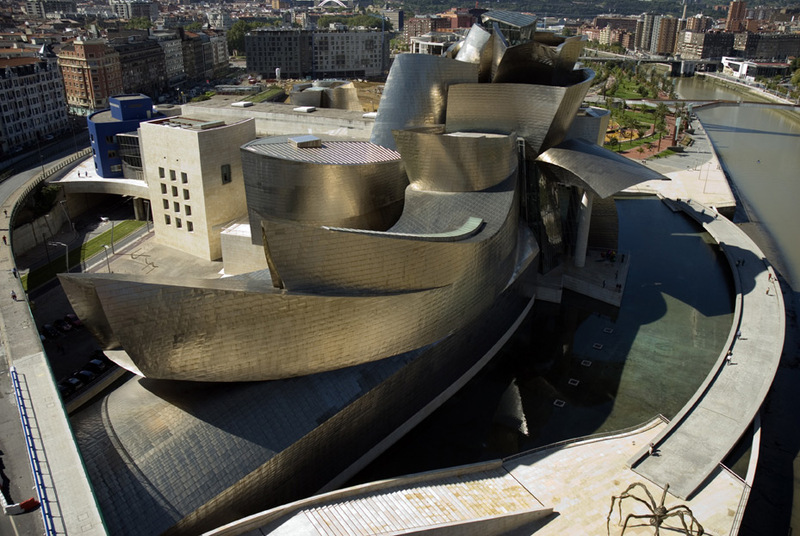 In addition to art, the Guggenheim offers great food to its visitors, who have two great culinary options to satisfy their appetite: the Nerua restaurant and the Bistro Guggenheim Bilbao. The first, led by chef Josean Alija, offers a full menu which combines traditional Basque cuisine with innovative techniques in a minimalist environment. The second, advocates a menu that highlights seasonal products that can be tasted in a pretty terrace with unique views.